Award-winning digital entertainment outfit littleloud created a promotional flash game for the upcoming Watchmen movie. Yes Fanny McFanboy! It’s a game based on the graphic novel! What’s that? You can’t wait to play as Rorschach? Well you can’t play as Rorschach. Actually you can’t play as any of the Watchmen characters. 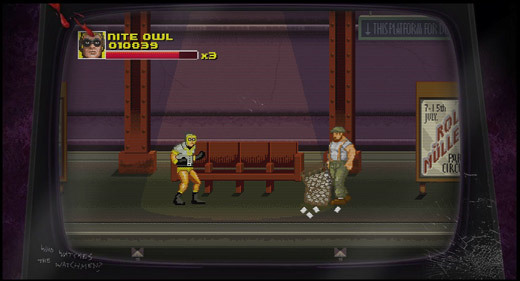 Because the heroes in the arcade-style game are from the Minutemen, the superhero team that came before the Watchmen. 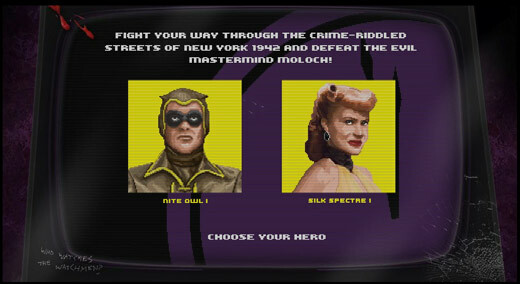 As you can see you can choose to play as Captain Commando or Baby the first Nite Owl or the first Silk Spectre. You then side-scroll your way along the crime-riddled , mailbox-riddled and trash can-riddled streets of 1942 New York. Since I am a member of the superhero team Expertgamingmans, I’ll give you some tips on playing the game. Pay attention because the game has a reward for players who finish it. Protip #1: This one’s a warning for the young gamers out there who have never played an old school beat ’em up: THE ENEMIES ARE MORONS. 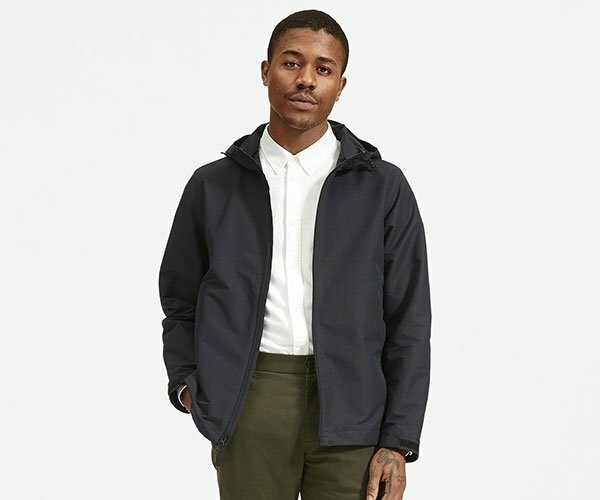 Aside from wearing the exact same golf cap + turtleneck combo, they will also move to the same axis that you are as they approach you. They will do this even if there’s an obstacle in the way, such as the fire hydrant above. So they get stuck. You can then punch or kick them til they die. 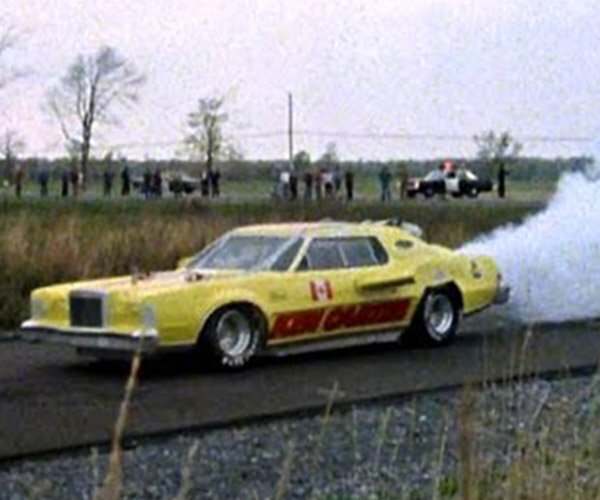 Or you can just watch them pile up behind a fire hydrant. Protip #2: This is top secret stuff: You can wreck the garbage cans and mailboxes for extra points! Destructible environment FTW! That’s my Nite Owl in the 2nd stage of the game; as you can see my expertise allows me to use the strategy I mentioned in Protip #1 at will. A stream of the whole Watchmen movie! Of course not. You get to watch a trailer that you’ve probably seen before. But if you’re a real gamer, you know that the side scrolling journey is the prize itself.